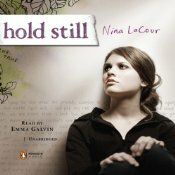 Hold Still is the second book I’ve read by Nina LaCour, author of The Disenchantments. I liked the emotion and tone of that book so I’ve been meaning to circle back and read her debut novel for a while. Since Hold Still is a book about the aftermath of a suicide, it’s a heavy read that you have to be in the right mood to handle. 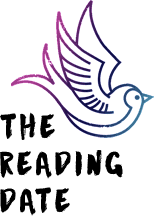 Like many people, suicide has touched my life and I’ve felt the shock, grief and pain that come with it. LaCour paints a realistic, unflinching portrait of a girl who has lost her best friend to suicide and her journey to healing. It’s hard to digest at times, but it’s hopeful as well. The story begins in Summer after Ingrid’s death, and takes us through Caitlin’s next school year. Caitlin is lost after losing her best friend, and just going through the motions to get through the day. Her passion for photography is lost and she withdraws from social activities. The only thing she has to grab onto is Ingrid’s journal that was left for Caitlin to find. She finds solace in the pages and a deeper understanding of her friend’s state of mind. Caitlin’s world changes when she meets Dylan, a girl who’s new at school and doesn’t know all the history of Ingrid. It takes a while for Caitlin to let Dylan in, but as time goes on they become friends and help each other. Dylan is gay and has a girlfriend but is not a stereotypical gay best-friend sidekick. She is a standout character on her own and shown in a loving relationship with her girlfriend. It is interesting to hear Caitlin’s thoughts about whether Dylan and her girlfriend are allowed to have sleep-overs and the way she is able to express her curiosity to Dylan. I like how the author showed Caitlin slowly letting people into her life and that it’s OK to go on living. It all felt very realistic to me. I listened to the audiobook, as read by Emma Galvin. 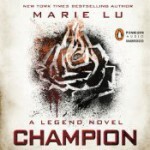 I’ve mentioned before that she is one of my favorite YA narrators. She sounds like a young adult, which is half the battle, and conveys the right emotional intensity in all the books she reads. In Hold Still, Galvin becomes Caitlin and her pain comes through clearly. The only things missing from the audiobook are the pages of Ingrid’s journal and the artwork that is featured in the book. The best of both worlds would be to have a copy of the book for reference while you listen to the audiobook. Though I was a little apprehensive about the subject matter of Hold Still, I ultimately found it to be a moving, insightful and hopeful read. And, I was surprised to see that the author actually is turning the book into a movie, funded as a Kickstarter project. You can read a more about it on the author’s blog here. Looking forward to checking out the movie and reading more from Nina LaCour. I agree with everything you said, Lucy. I really loved this book. The book sounds very emotional so I’d probably be able to handle it better in print. thanks for the review, lucy. i actually haven’t read any nina lacoer yet but will have to check this one out. you’re really burning through the audiobooks. love it! and i will have to look up this narrator. it’s hard to find a good audiobook reader. I’m a fan of Nina LaCour’s writing, and I can’t wait to see the film version.